Harrison Commons Parking Garage - MAST Construction Services, Inc. 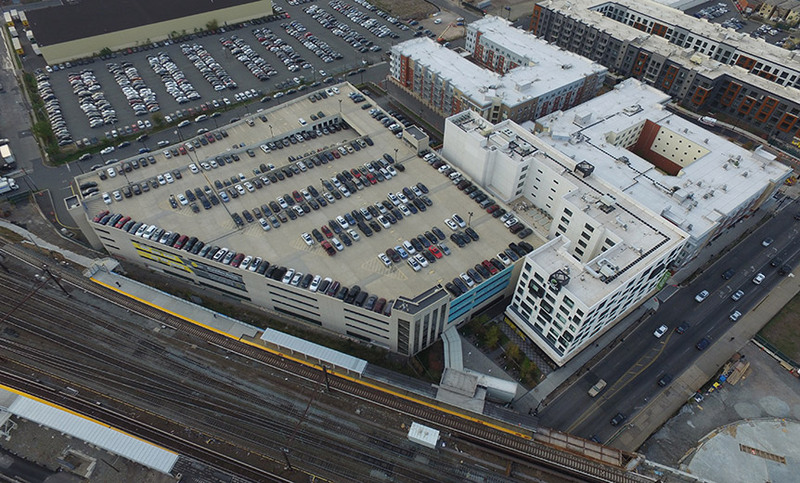 The Harrison Commons Parking Garage located at the corner of Third & Somerset Streets in Harrison provides parking for 1,465 vehicles to support local residential developments as well as parking for the Red Bull Soccer Stadium. The structure is at grade, plus five and one-half supported levels totaling 435,000 SF with a building footprint of 95,000 SF. At 6 stories, the structure consists of a precast concrete system with a sandblast aggregate finish. Pedestrian circulation is provided by hydraulic elevator and three stair towers. This new parking facility is part of the overall revitalization of the historic Harrison waterfront.